<!-black-> NLT stands for New Living Translation. MKJV stands for Modern King James Version. Haggai, an Old Testament prophet, wrote this Bible book named after him. His Hebrew name "Haggay" means Festive One or Feast of Jehovah. <!-black-> What are some things that we know about Haggai? We don't know how old Haggai was. It is believed that he was born in the nation of Babylon during the exile when the Israelites spent 70 years in slavery in Babylon. It is believed that he came to Jerusalem with Zerubbabel. He had a friend who also prophesied at the same time- his name was Zechariah. On the other hand he might have been born somewhere in Israel before the deportation and was an old man when he returned to his home country and began preaching. This book was written in Jerusalem around 520 B.C. The Israelites at that time needed to be preached to, warned, and then encouraged to rebuild the temple of God in Jerusalem. In 2 Kings chapters 24 and 25 we read that the Israelites had been defeated by the Babylonians, the Jewish temple had been destroyed, and most of the people had been transported to Babylon as slaves. The time period on this was 606-586 B.C. After the Israelites has spent 70 years as slaves in Babylonia, a decree from King Cyrus of Persia allowed the Israelites to permanently go back home to Israel. Many thousands of Israelites moved back to Israel. This decree was issued in 536 B.C. <!-black-> But Satan had a plan he was working on. He had brought a foreign army and had conquered God's chosen people (the Israelites). He had made them slaves for 70 years. But God raised up Cyrus and allowed the Israelites to go back to Israel. After the death of Cyrus, Satan struck with the weapon of persecution to stop them from building God's temple for 15 years. By hurting God's people Satan was indirectly hurting God. God intervened and had them finish building His temple. God won this victory over Satan. <!-red-> "I will raise up Cyrus to fulfill my righteous purpose, and I will guide all his actions. He will restore my city and free my captive people- and not for a reward! I, the LORD Almighty, have spoken!" (Zechariah 8:9-13). The returning remnant of folks from Babylon to Israel had the fear of the Lord. Two other prophets returned to Jerusalem along with Haggai. One was Malachi and the other was Zechariah. Haggai believed in getting down to business and doing the work that needed to be done. He was much like a New Testament Barnabus- an encourager. <!-purple-> "There is a time for everything, a season for every activity under heaven. A time to tear down and a time to rebuild"
Jesus Christ is portrayed as the Desire of All Nations. Why is Christ the Desire of All Nations? Haggai 2:7 reveals this to us. In reference to this scripture, the Masoretic Hebrew text shows the word "desire" (hemdath) to be feminine singular with a plural verb. Therefore, it is proper to translate it as "the Desire of All Nations" shall come- making this passage of scripture a messianic passage. And what does that imply? It means that the Jewish Messiah, Jesus Christ, is the Desire of All Nations because only through Him can the nations of the world be blessed with righteousness and peace. Each nation that turns to Christ now will inherit spiritual blessings, but this passage of scripture will find its total fulfillment during the milennial reign of Christ. (Ezra 3:10). They then seemed very forward in it, and it was likely enough that the work would be done suddenly; but, being served with a prohibition some time after from the Persian court, and charged not to go on with it, they not only yielded to the force, when they were actually under it, which might be excused, but afterwards, when the violence of the opposition had abated, they continued very indifferent to it, had no spirit nor courage to set about it again, but seemed glad that they had a pretence to let it stand still. Though those who are employed for God may be driven off from their work by a storm, yet they must return to it as soon as the storm is over. These Jews did not do so, but continued loitering until they were afresh reminded of their duty." <!-black-> Have you ever felt like God was mad at you? Well, this is how those folks felt. Why? <!-purple-> Jesus Christ is the same yesterday, today, and forever. <!-black-> The Lord was concerned and admonished them to repent. It's the same message that He has for each of us today. With good leadership and encouraging preaching those folks under Haggai rose to the occasion and did accomplish something for God with their lives. Some time later, the Apostle John in the New Testament addressed this same issue to the Church at Ephesus. Some folks in this church had left their first love for God. The Lord was concerned and admonished them to repent. Let's not ever take God for granted and neglect our proper worship for Him nor the reading of His word. Let's not forsake church attendance or good works in His name. Let's stay on fire for God! <!-black-> God the Holy Spirit stirred them up immediately. Previously, they wanted their own selfish ways but God refused to bless them. Then they repented and did God's will and they were blessed by God for it. Haggai prophesied for 4 months. He preached 4 messages between August and December of 520 B.C. His main goal was to persuade a discouraged nation to fire up it's relationship with God by rebuilding God's temple. Haggai was successful in his efforts. <!-black-> One main lesson for us from this Bible book is: "Let's Build for God!" <!-red-> "I AM with you,"
<!-purple-> says the Lord! So the Lord sparked the enthusiasm of Zerubbabel son of Shealtiel, governor of Judah, Jeshua son of Jehozadak, the high priest, and the whole remnant of God's people. They came and began their work on the house of the Lord Almighty, their God"
<!-red-> "The future glory of this Temple will be greater than its past glory, says the Lord Almighty. And in this place I will bring peace. I, the Lord Almighty, have spoken!" <!-purple-> "At that time the prophets Haggai and Zechariah son of Iddo prophesied in the name of the God of Israel to the Jews in Judah and Jerusalem. Zerubbabel son of Shealtiel and Jeshua son of Jehozadak responded by beginning the task of rebuilding the Temple of God in Jerusalem. And the prophets of God were with them and helped them"
<!-purple-> "So the Jewish leaders continued their work, and they were greatly encouraged by the preaching of the prophets Haggai and Zechariah son of Iddo. The Temple was finally finished, as had been commanded by the God of Israel and decreed by Cyrus, Darius, and Artaxerxes, the kings of Persia. The Temple was completed on March 12, during the sixth year of King Darius's reign. 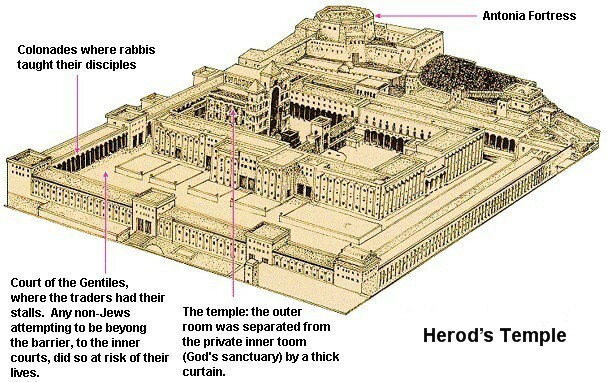 The Temple of God was then dedicated with great joy by the people of Israel, the priests, the Levites, and the rest of the people who had returned from exile"
<!-purple-> "So, my dear brothers and sisters, be strong and steady, always enthusiastic about the Lord's work, for you know that nothing you do for the Lord is ever useless"
<!-red-> "Tell Zerubbabel, the governor of Judah, that I AM about to shake the heavens and the earth. I will overthrow royal thrones, destroying the power of foreign kingdoms. I will overturn their chariots and charioteers. The horses will fall, and their riders will kill each other. But when this happens, says the Lord Almighty, I will honor you, Zerubbabel son of Shealtiel, My servant. I will treat you like a signet ring on My finger, says the Lord, for I have specially chosen you. I, the Lord Almighty, have spoken!" <!-black-> Satan had torn down God's temple in the past and it looked like he was more powerful than God. Then he caused problems for the Israelites in delaying their rebuilding efforts of God's temple. Have you ever looked at a big problem (mountain) with a small God? This is not the way to look at such a problem. Rather, one should have a small problem with a big God. But those folks had a small God in their thinking. As a result they were discouraged. Maybe you are going through hard times right now and Satan is kicking you around. Be encouraged. There is ultimate victory in God. Job found this to be true. Jesus is coming soon- this is a message of assurance from our soon coming King. God prevailed over Satan by having His temple rebuilt by the very slaves that Satan had once oppressed. Maybe your life has been laid in ruins by the evil one. Take courage and seek God and rebuild your life and defeat the devil by so doing. <!-black-> It is important for people to have a vision for God- to have a goal to work for and achieve for His purposes and His glory. This kind of vision will bring unity with a common purpose when everyone pulls together. And everyone can celebrate when this vision or goal is accomplished. <!-red-> "I sent blight and mildew and hail to destroy all the produce of your labor. Yet, even so, you refused to return to Me," says the Lord. <!-black-> (Haggai 2:17). Sometimes God allows suffering in order to get the attention of some folks to turn them from focusing on themselves to focusing on God. Then they can turn to Him in repentance and forsake their sins. But sometimes this effort doesn't always work out in the right timing when one is dealing with human beings who have free will. This does not mean that God makes mistakes, rather, it means that there are choices and variables of actions that can take place due to mankind's free will. (Haggai 2:10-23). What does that mean? It's a question of holiness versus unholiness. Holiness is not infectious but unholiness is infectious. God convicted the Israelites of their sins. He did this by showing them that they were impure- God the Holy Spirit is very good about convicting people of their sins. Because of their unconfessed sins and impurity, their prayers for God's blessings were not granted. Their own sins and guilt were tearing them apart. But God started blessing them after they repented and started doing His will (by rebuilding His temple). How many times have you and I sinned and felt guilty? His blessings seemed to stop and fellowship with Him seemed to come to an end. But then we repented. God seemed to change His mind after we made things right with others and with God. Then He started blessing us again. This is very similar of what happened here during those days. <!-purple-> "Do not be unequally yoked together with unbelievers. For what fellowship has righteousness with lawlessness? And what communion has light with darkness?" <!-black-> There are all kinds of relationships- relationships in the military, relationships at work, relationships with neighbors, government relationships, and/or relationships at other places not mentioned here. One main relationship is the marriage relationship. The Greek word for "unequally" is heterozugeo. It means "to associate discordantly." It also means "to yoke up differently" or "unequally yoke together with." Back in Old Testament days a farmer plowed his ground by yoking two oxen together, so they plowed a straight furrow. They pulled together. God wants a true believer in Christ to marry another true believer in Christ. If a true believer violates God's scriptures and marries an unbeliever (all unbelievers belong to Satan) then it is like a donkey being yoked to an ox. They are unequally yoked and will plow a crooked furrow because they are pulling against one another. This is NOT God's will. <!-black-> I am a true Christian and I do not care what you have to say, preacher, I am going to marry my unsaved fiance anyways. I will pull my fiance up and get that person saved. <!-black-> Well, that's a noble goal but since it is against God's will, I wouldn't do it if I were you. Why? Because there is one thing that you are not taking into account. That one thing is depravity. It is easier for them to pull you down than for you to pull them up. I have seen this mistake made far too many times, and do you want to know what usually happens? Pretty soon the true believer starts making compromises, stops reading the Bible, church attendance suffers, tithes money does not get paid, and there is a slow steady progression into unbelief. And unbelief shows itself in numerous acts of rebellion against God. I do not want you to go through that and I pray that you will always make your decisions based on God's word because it is through His word that He speaks to us. My suggestion is that you get your fiance saved before the marriage takes place. <!-red-> "A certain man went down from Jerusalem to Jericho, and fell among thieves, who stripped him of his clothing, wounded him, and departed, leaving him half dead. Now by chance a certain priest came down that road. And when he saw him, he passed by on the other side. Likewise a Levite, when he arrived at the place, came and looked, and passed by on the other side. But a certain Samaritan, as he journeyed, came where he was. And when he saw him, he had compassion. So he went to him and bandaged his wounds, pouring on oil and wine; and he set him on his own animal, brought him to an inn, and took care of him. On the next day, when he departed, he took out two denarii, gave them to the innkeeper, and said to him, "Take care of him; and whatever more you spend, when I come again, I will repay you." So which of these three do you think was neighbor to him who fell among the thieves?" And he said, "He who showed mercy on him." Then Jesus said to him, "Go and do likewise"
<!-black-> So, let us get involved and do God's will. Let us not commit the sin of omission. <!-black-> The expression "bring peace" or "give peace" can be translated as "bless." How is this relevant? God will bless them in His house that they will build for Him. How many times have you or I entered into a church house and felt the sweet Holy Spirit's presence there? Just to rest there in spiritual peace for awhile is such a blessing. Since God is the greatest treasure in the universe then it is a wonderful thing when He blesses us with Himself. <!-black-> What is our present duty? Do not commit the sin of neglecting God and His work. Do not let your heart depart from God. Be strong and work for Him. "God is with you" is one permanent message in this book. Go forth now and work for Him and be strong and God will bless you.